Known for attracting love and affection to the wearer, rose quartz is also known for increasing self esteem and personal beauty. Wear this stone to help attract your soul mate. It deepens a friendship when given as a gift and blesses the wearer with vitality, hope and grace. This stone may vary in measurement (½ in by ½ in to 1 ½ in by 1 ½ in) and can be wrapped in various styles. E-mail for availability in copper, brass or steel. If no request accompanies the order, wire color will be chosen at random. 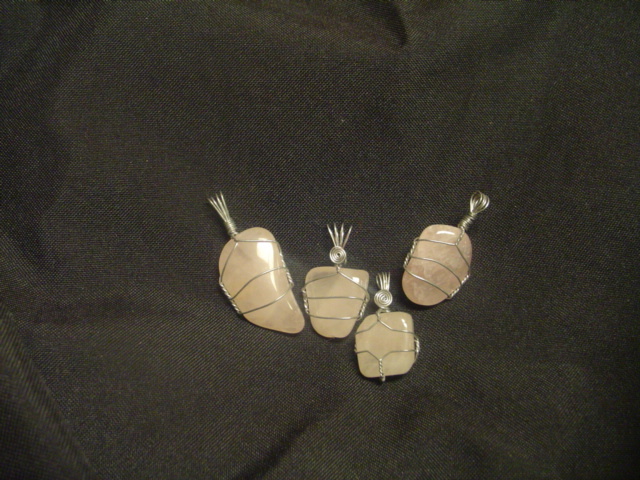 For specific sizes, wire color or to place an order for multiple pendants of the same stone, please e-mail for availability. Price includes first class shipping and tracking for your order (shipped in the contiguous United States -all others e-mail for estimated shipping before purchase). 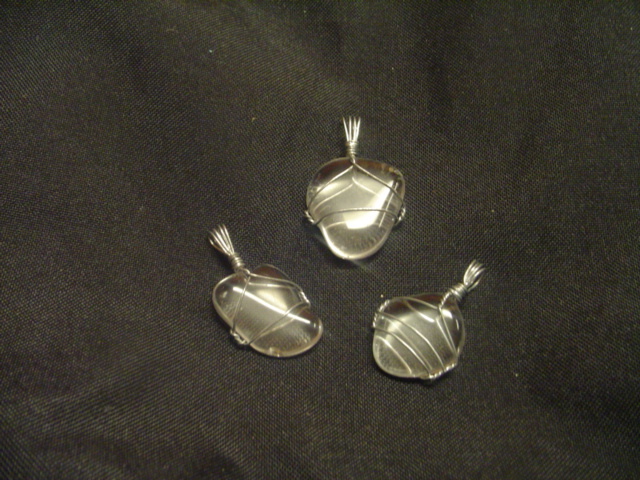 Please remember that each pendant is unique and that no two are exactly alike. And as such may contain flaws or other natural imperfections, which add to the character of the piece. Color may differ due to monitor quality from the item pictured. If you wish to see a specific picture of the item you wish to order, please e-mail for a picture and we will be happy to comply with your request. All orders are “as is” and no returns will be accepted for any reason. This beautiful blue stone helps lessen feelings of guilt and stress to those who wear it. The deep blue color helps to maintain a sense of inner balance when multitasking as the white helps the wearer to connect to a cosmic wisdom when facing difficult decisions. Known to bring courage and good luck to the wearer, it is also a stone of protection and healing. 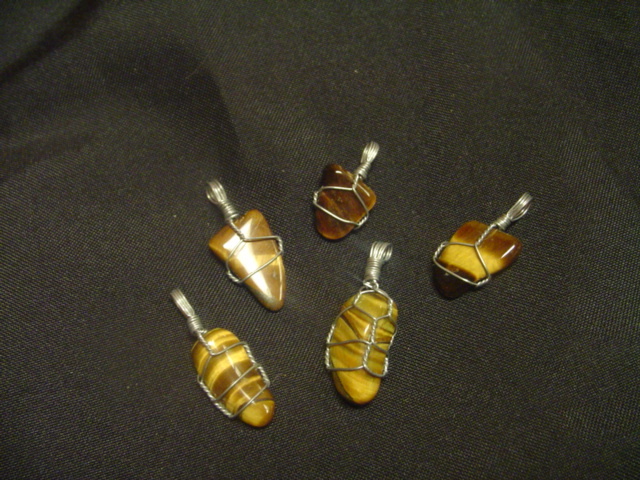 Brown tiger eye is used mainly for building one’s inner strength and to assert cosmic justice when wronged. A great stone for multitasking as it helps to maintain emotional balance while helping to curb one’s bad habits. A protective stone, it can be slipped under one’s pillow to protect from night terrors and bring prophetic dreams. Useful for those looking to overcome addictive substances, it also adds power to those seeking a new path in life. 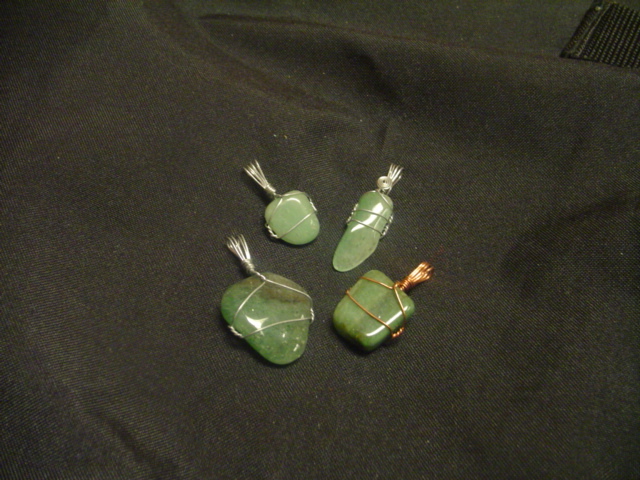 This stone can be charged for almost any positive purpose, and can be used in conjunction with other stones. 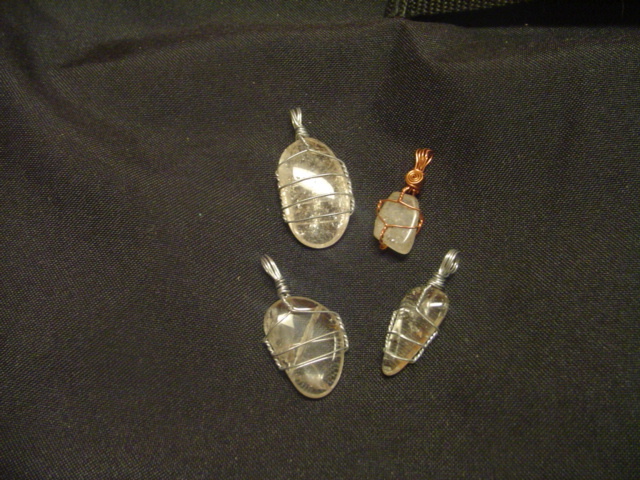 Quartz has great healing properties as well as protection and healing. 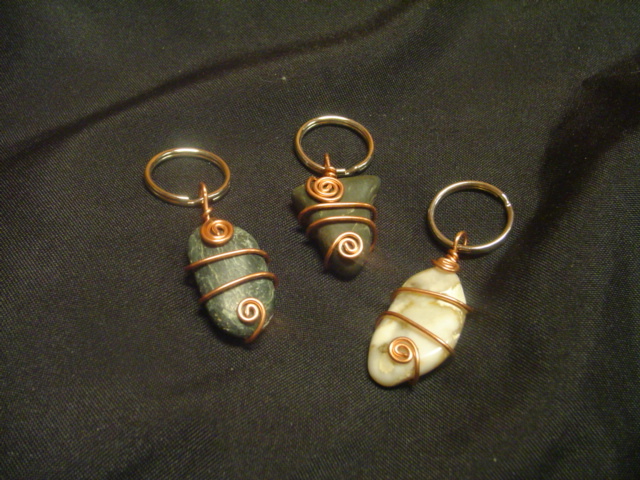 This item comes in a variety of stones ranging from jasper to clear quartz, and is wrapped in copper. Please e-mail for specific stone availability. This stone may vary in measurement (1 in by 1 in or greater) and is wrapped in a circular style. If no request accompanies the order, stone type will be chosen at random. For specific sizes, stone type or to place an order for multiple keychains of the same stone, please e-mail for availability. Please remember that each keychain is unique and that no two are exactly alike. And as such may contain flaws or other natural imperfections, which add to the character of the piece. Color may differ due to monitor quality from the item pictured. This stone helps to align chakras and open stagnant energy ways. 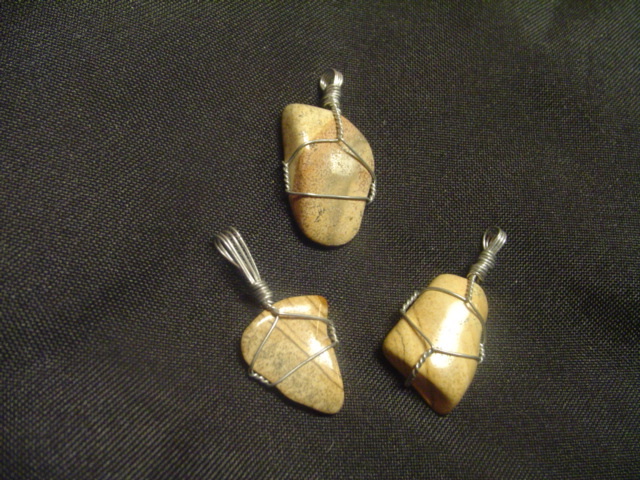 A great stone to wear for those who suffer from forgetfulness or the inability to concentrate for long periods of time. It allows the brain to form new connections to those who have suffered from memory or other brain function. Like clear quartz, this stone helps to bring clarity of mind and purpose to the wearer. It boosts magical energy, with an emphasis on psychic abilities. A natural form of clear quartz, it is used to energize the body and helps to bring clarity of mind and purpose to the wearer. 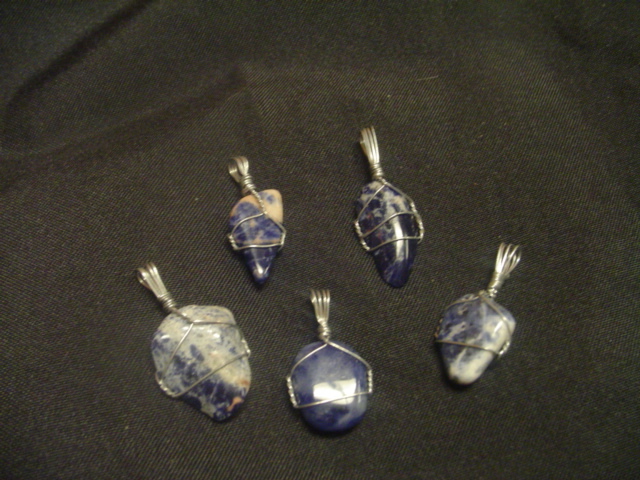 Used in conjunction with other stones, it magnifies their energy and helps them to work together as a spiritual unit. Natural points can be used for almost any purpose and with almost any other stone. 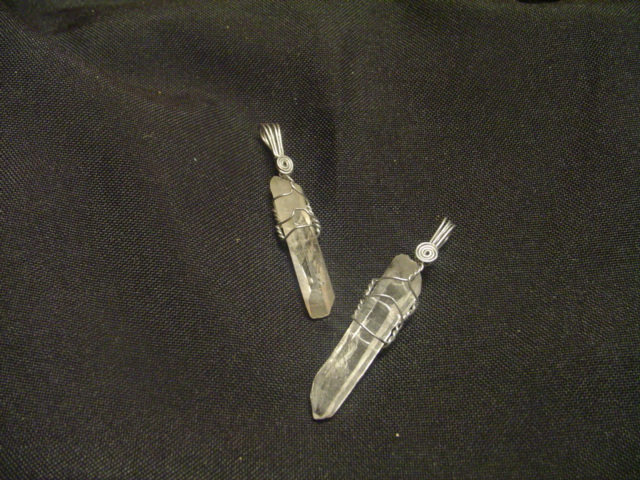 Used to energize the body, clear quartz also helps to bring clarity of mind and purpose to the wearer. 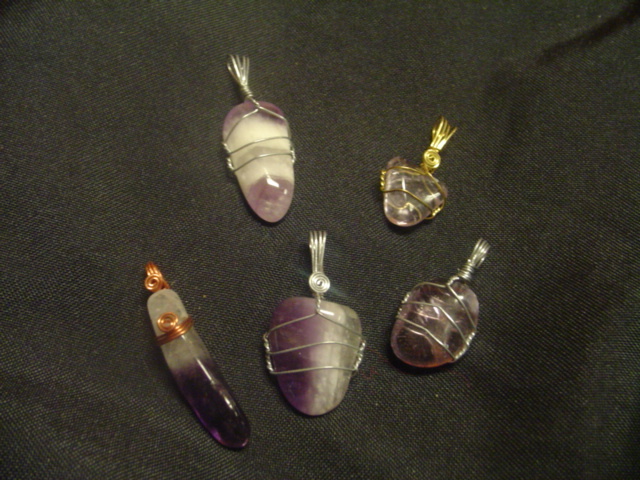 Used in conjunction with other stones, it magnifies their energy and helps them to work together as a spiritual unit. Known to bring courage and good luck to the wearer, it is also a stone of protection and healing. 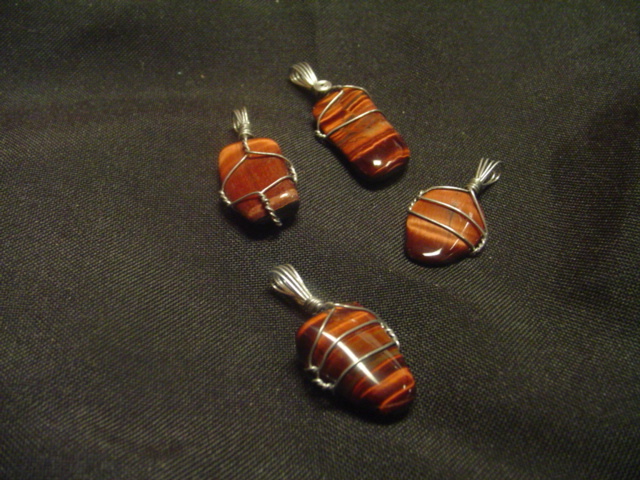 Red tiger eye is used mainly for healing from trauma or surgery and to promote overall wellness. 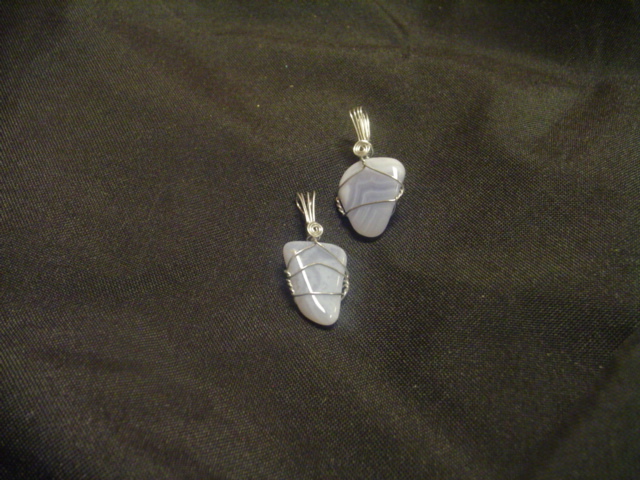 Known to bring courage and good luck to the wearer, it is also a stone of protection and healing. 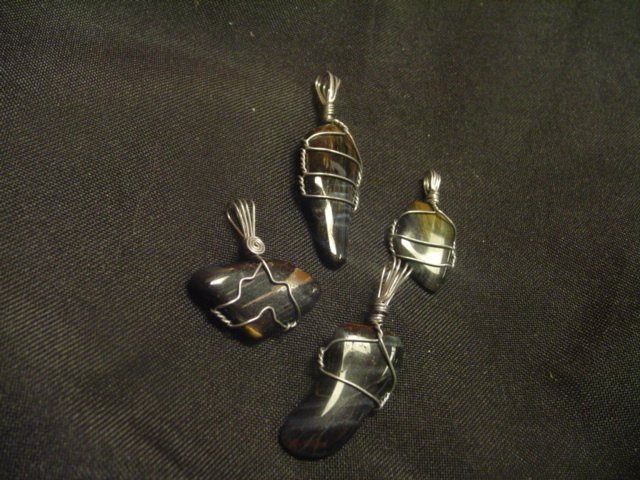 Black (Blue) tiger eye is used mainly for increasing psychic powers and protection when traveling. This stone attracts good health, long life and great fortune. Used in the past to cement the bond of love between those newly engaged, it kindles deep passion. A stone of good fortune, it is said to change a person’s luck from bad to good in all things. Wealth and prosperity are bestowed upon the wearer, along with the knowledge to manage it. Known to bestow inner peace to the wearer, it helps one maintain calm in meditation. A stone of protection, it is useful to guard against psychic attack while sleeping or in the astral realm. Used for boosting one’s psychic vision, it is also used to ground out unwanted energy while meditating. Worn to promote feelings of contentment, it also helps to provide clarity of purpose. 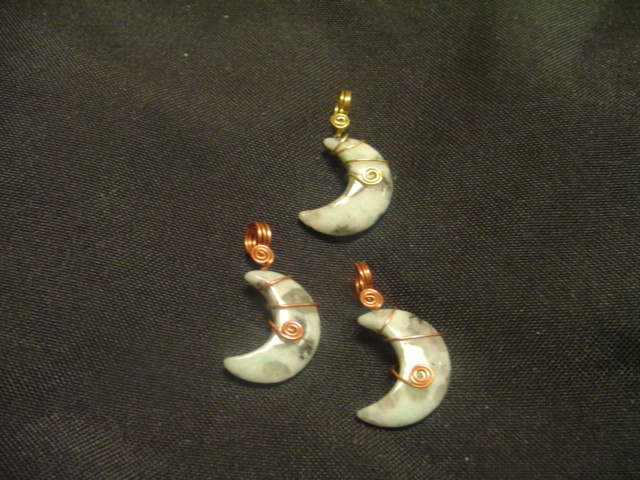 The moon shape symbolizes the phases of the moon, a connection with Mother Earth, nature and all things divine. Used for healing, it helps to excite stagnant energy in the body and move it to unblock chakra points which have stagnated from disuse. Also used for protection, it “looks out” for its wearer and blocks unwanted energy from unseen attackers. 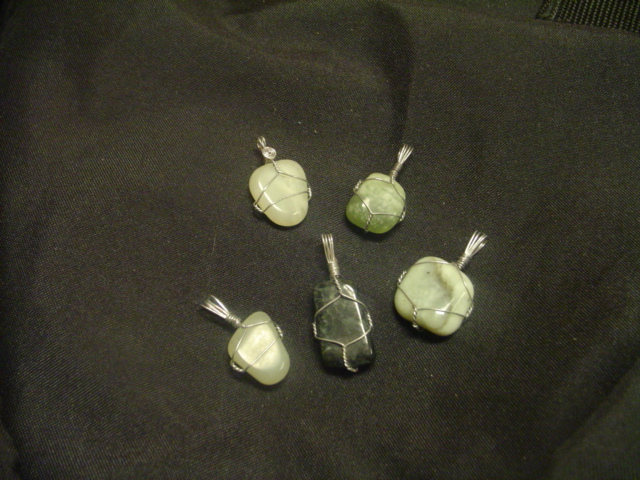 A stone used to promote calming energy, it is worn to inspire patience in difficult situations. Also a stone of wisdom as it aids one to see a troublesome situation from another’s eyes and come to a compromise that will be acceptable to all parties involved. 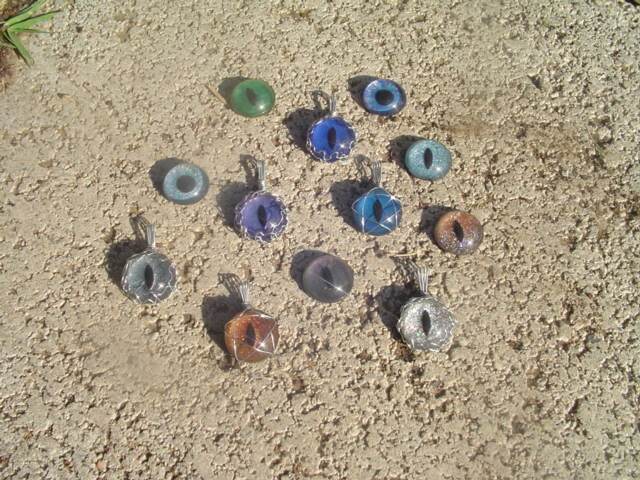 Evil Eye Pendants made to order! Either way, you’ll turn heads with this protective pendant. The concept of evil eye is gaining a lot of popularity these days, and different religions and cultures have found different ways to counter the effects of this negative attention. Religions try to ward off the evil eye through prayers and rituals, however the most popular way to keep the evil eye away is through evil eye jewelry. A great gift for anyone who likes magical jewelry, this talisman is perfect if you are looking to shield yourself from the glare of the evil eye and want to look stylish at the same time. 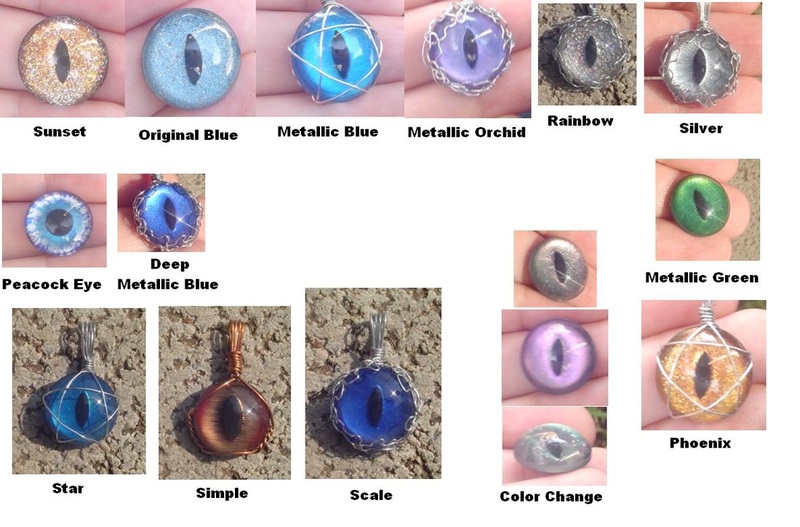 Our Evil Eye pendants are not only worn as necklaces, they are also used as a protection against evil intentions. 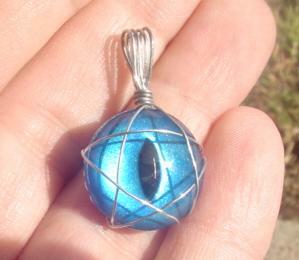 Whether it be a newborn baby, house, office or other property people hang Evil Eye pendants on whatever might attract the evil eye. This fun, handmade, one of a kind piece measures 27mm high by 16mm wide by 7mm deep and comes in a variety of colors. Small enough to be used as a pendant, bracelet charm or to place on a cat or dog collar. 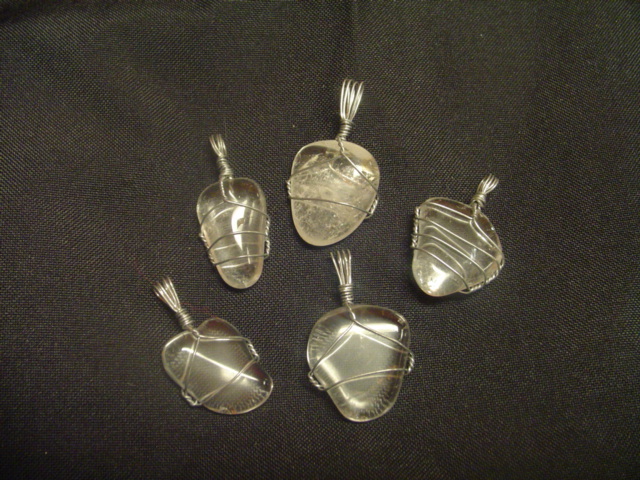 Pendant is hand wrapped in Steel wire for the look of silver, and is solid throughout the wire (unlike silver plated copper or tin). Eye is hand painted and heat cured by yours truly. This piece comes with “feeding and care” instructions. If you like the look of this piece but want a different eye color, size or wire color, then email me for a custom order. Otherwise the standard "classic" blue will be mailed to you. This may give you an idea of the colors available. And yes, I can make more in even more colors... So when you order, please specify the color (rainbow/ metallic blue/ etc. )/ wrap style (Star/ Simple/ Scale), the pupil (Round/ Slit), and the color wire (Copper/ Steel/ Brass). Just leave a note in the Paypal Note to Seller box or email me for a custom order, otherwise it will be chosen for you. It sparkles! 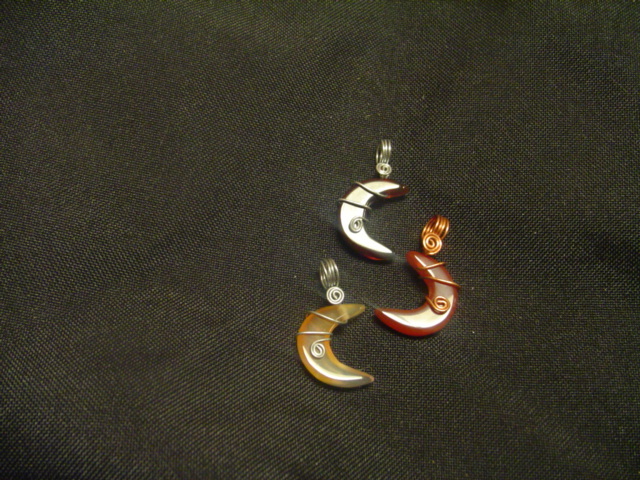 Note: No vampires were harmed in the making of this pendant. Want to buy a specific pendant and don't want to wait to see what we have in stock? 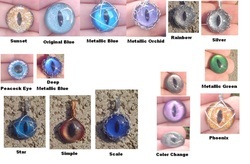 Don't forget to check out our selection on Etsy for specific one of a kind pendants from our stock. 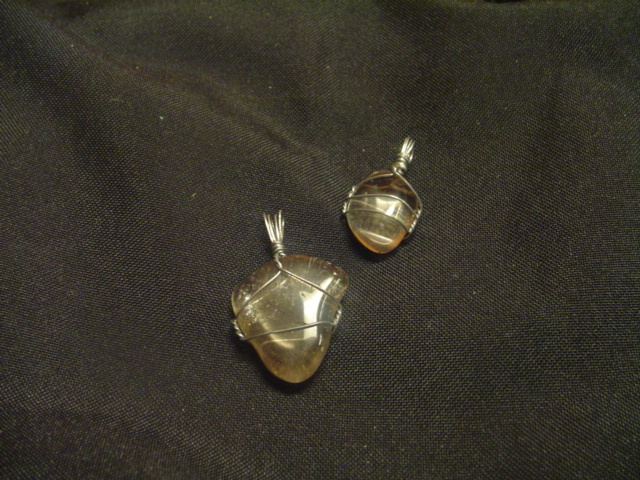 Click here: http://www.etsy.com/search/shops?search_query=speakerofstones&search_submit=&search_ Just follow the link, find the pendant you want and purchase today!